There is nothing gratuitous about Lupe Fiasco's message. His subject matter is consistently humane, frequently empowering and always substantial. Wasalu Jaco is a man of concern. Concern for his fellow persons of colour and norming white supremacy, concern for the youth and their (mis)education, and concern for his place amongst rap's elite. As Lupe Fiasco, Jaco's artisanship has routinely divided opinion. His dutiful F&F following hail him as nothing less than rap's renaissance man, while more even-handed heads point to an enduring conflict in his musical mentation, clouding his genius. Few, however, will gainsay his quality as a wordsmith. When he took to Twitter in January of this year - in one of his many paroxysms of vexation - to launch into an impromptu critique of Kendrick Lamar's lyrical ability, or lack thereof, Lupe was ostensibly venting his frustrations, not with Lamar, but his own omission from the widely accepted rarefied air of rap. Merely weeks before Lamar released his universally acclaimed To Pimp a Butterfly, Fiasco had unveiled arguably his greatest work, Tetsuo & Youth. Released upon the insistence of hacker group Anonymous, who had threatened his then label Atlantic into giving it a release date, Tetsuo was Lupe's magnum opus, a masterpiece maturing on every listen - flowering in 'Butterfly's shadow. What should have crowned Lupe Fiasco's inauguration into hip-hop's haute monde, was instead a mattress for public slumber. Perhaps it is inevitable that Fiasco, who fearlessly declared Obama to be the world's biggest terrorist for his drone campaign and unpopularly endorsed Islam becoming the world's religion, will always remain distanced from the plaudits of the dominant culture he so dauntlessly opposes, yet ambivalently seeks respect from. 2017's follow up to Tetsuo & Youth, Drogas Light, was promoted as a prequel in a thematic trilogy of albums, while concurrently adding that it was full of 'songs from the vaults'. The result was an apathetic assortment of above-average trap and evident castoff's from T&Y, the only consistent theme being his return to inconsistency. It's successor, Drogas Wave was proclaimed by Fiasco to be a concept album, detailing the lives of the LongChains, a fictional group of Middle Passage slaves who survived drowning in the ocean and dedicated their lives to sinking slave ships from under the water. Launching impressively into Spanish on the snappy opener "Drogas", Lupe offers a brooding examination of the black condition in America, its bloody history and enduring legacy. Over a forbidding bassline on "Manilla" (a form of currency used during the slave trade), Lupe relates modern-day materialism to the rapacity that occasioned the slave trade "you can accomplish anything if you can survive blackness". While his message is invariably consternation for his community and those less fortunate than himself, his polymathic wordplay is habitually exorbitant, requiring multiple listens to unpack. Wrapped in overwrought rhyme and seal packed in metaphor for good measure, it's at times hard to construe if Lupe's rhymes are assembled for edification, or are merely self-indulgent soliloquies. It would be unsporting, however, to critique the complexity of his lyricism as anything less than the work of a keen intellect flourishing amid the mores of anti-intellectualism. The devil of Drogas is certainly in the detail and a full appreciation of its intricacy requires time. At a whopping 98 minutes, attending to Drogas 24 dense tracks in a timely manner will probably be a trial for many a click-happy streamer. The highlight of the tracks dedicated to the LongChains, the surreally sorrowful "WAV Files" spends one entire verse listing off slave ships and includes the album's best refrain. The empowering narrative of a reimagined space for the millions of souls lost to the Middle Passage is undermined however, by a garish Jafaican accent on "Gold vs the Right Things to Do" and a cringe-worthy chorus on "Down" that wouldn't have been out of place on a Little Mermaid soundtrack, "Fish is my friends and the whales is my homies, octopuses my people, the shrimp, they all know me". As far as plot development goes, Lupe's much discussed abstraction ends abruptly at the end of act one, as the whimsical refrain of interspecific amity is where the fictional concept finishes. Though disjointed as a scenario, Drogas persists as a portrait of pain, evocatively painted by Fiasco in harmonious hues of hope and despair. Imagining an alternate reality for three-year old Alan Kurdi, who drowned while fleeing Syria with his family, and Jonylah Watkins, a baby shot to death over a dispute over a games console in Chicago, "Alan Forever" and "Jonylah Forever" are compassionate envisionings of the children's lives had they reached adulthood. Visualizing Alan as a champion swimmer and Jonylah as a doctor, Lupe ruefully muses on what could have been, had they not been born into such unforgiving circumstances. Reuniting with frequent collaborator Nikki Jean over same kind of ambient production that solidified Tetsuo & Youth as a masterwork; while the hooks aren't as hypnotic as a "Little Death" or "No Scratches", Lupe's syntax is increasingly exigent. The best of the duo's half a dozen collaborations on Drogas Wave, "Haile Selassie" is a formidable ode to Ras Tafari and the trials of black life and expectation in America: "If I triple my worth, will it cripple my mum? If I simple my search will it mental my clam? Will it hurt if I give you my palm? To tell in it, don't put a nail in it, how you gonna see the world if you a whale in it?". Drogas finally hits its stride ironically, in its denouement. "Cripple" is a cool slice of socially conscious jazz rap, while "Imagine" sees Lupe reflecting on his come-up and his tumultuous relationship with Atlantic records on an ethereal piece of boom-bap. The most pleasing cut on the album, "King Nas", a zealous exploration of manhood dedicated to his nephews, finds Fiasco frolicing over a doo-bop beat with multiplex rhymes so crisp they deftly invigorate the album just as its coming to its conclusion. The album closer, the highly anticipated "Mural Jr", is not quite a chip off the old block, but is still Drogas most taxing metrical composition, over its standout beat. A committed contrarian, Lupe had declared disinterest in public response to Drogas Wave and proclaimed the album to be exclusively for his loyal fanbase. However, in the wake of its release he has already publicly attacked publications, one for only bestowing it with a stellar review. The lack of consistency in its professed concept aside, an unduly long runtime and surfeit of superfluities inevitably weigh Drogas Wave down. A bold and exceptional emcee, Fiasco must inevitably shoulder the burden of elevated expectation for his projects. There is nothing gratuitous about Lupe Fiasco's message. His subject matter is consistently humane, frequently empowering and always substantial. 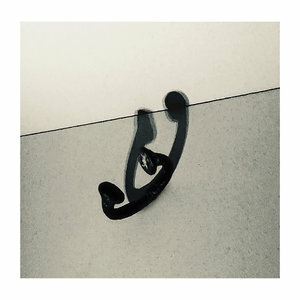 However, his obstinacy in its coordination and preoccupation with labyrinthine rhyme ensures that Drogas Wave is another good Lupe Fiasco album that should have been great.